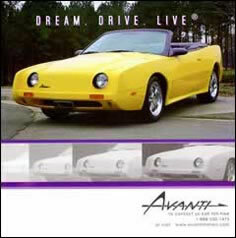 Avanti Motors Corporation built Camaro/Firebird-based Avantis from 2000 to 2003 and Mustang-based Avantis from 2004 thru 2007. The company was originally based in Villa Rica, Georgia and later relocated to Cancun, Mexico. 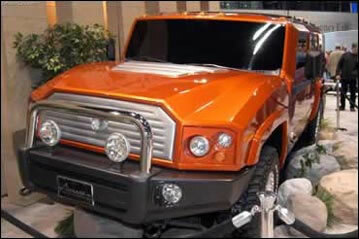 They also introduced a new Studebaker XUV and a version of the SVO Lister. The XUV became a newsworthy sensation when introduced at the 2003 Chicago Auto Show and when it returned to the 2004 show. 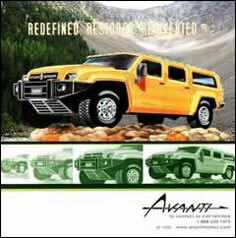 Production of the Avanti dwindled then ended in early 2007. 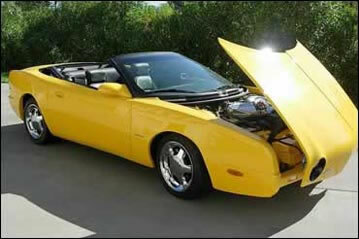 Avanti Motors Corporation's 2002 Avanti convertible. A Studebaker XUV on exhibit at the Chicago Auto Show. 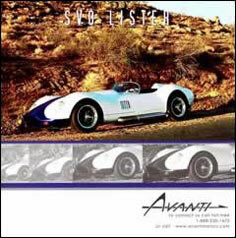 Advertising for the SVO Lister.